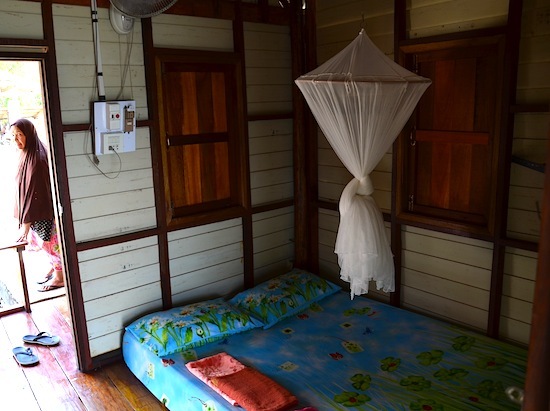 Amid the east-coast village of Batu Bute (pronounced ba-too-boo-tay) and its stilted houses overlooking a calm bay, two modest homestays offer travellers a chance to be immersed in Ko Libong’s traditional Muslim fishing lifestyle. If you don’t require a beachfront location and are happy with simple accommodation, consider settling into the village. 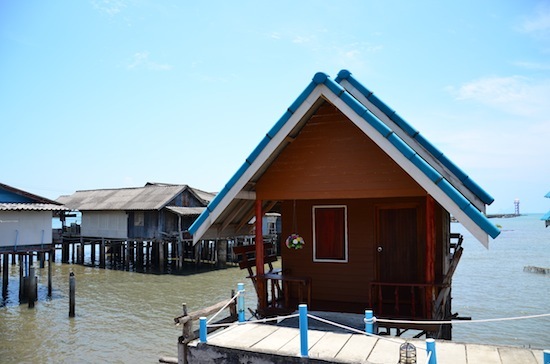 Owned by an older couple who also sell dry goods and fruit out of a small shop, Mondip Homestay has a few small but charming wooden bungalows that stand on stilts over the water, and are accessed by raised cement footpaths. Benches on private back porches allow you to watch the longtail boats as they putter off into the sunrise. That’s Mondip’s owner peeking in. An outside look at one of Mondip’s bungalows. 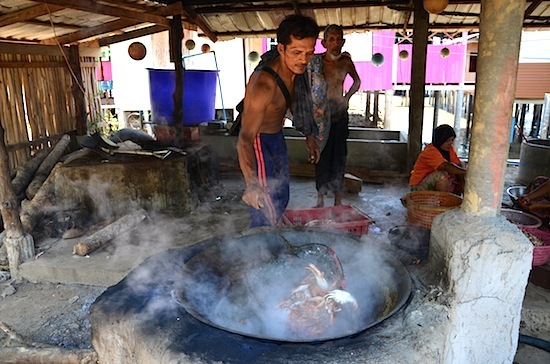 We arrived at Jannai Homestay to find the resident family steaming crabs over an open fire pit. The house seemed to be a meeting point for locals, including imams from the neighbouring mosque. Built of logs and wood boards in the back of the house, rooms are situated on either side of a spacious open-sided common room with views over the bay. 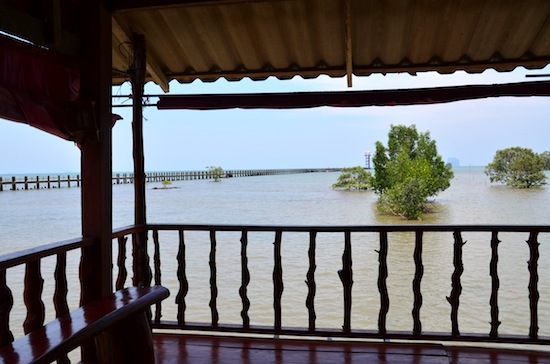 View to the dugong watchtower from Jannai’s common room. 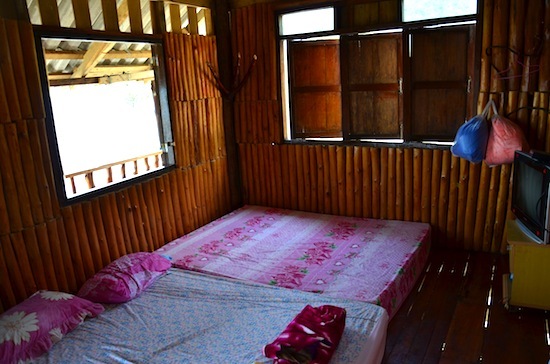 While food is not included in the price at either homestay, guests can pay extra for home-cooked meals. Owners at both can speak a little English. No motorbike or bicycle rental is available, but you can take a sidecar motorbike taxi to rent some wheels from one of the west-coast resorts. 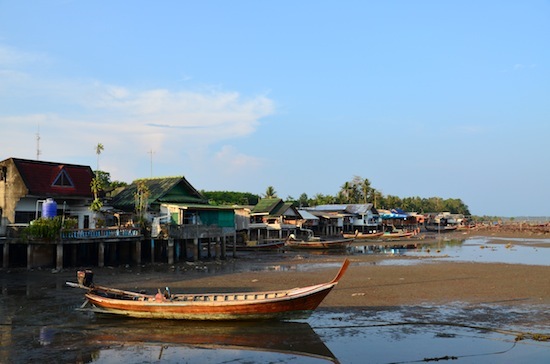 Alternately, rent a motorbike as soon as you arrive at the pier in Baan Maphao and ride here on your own. A low-tide view of Batu Bute. 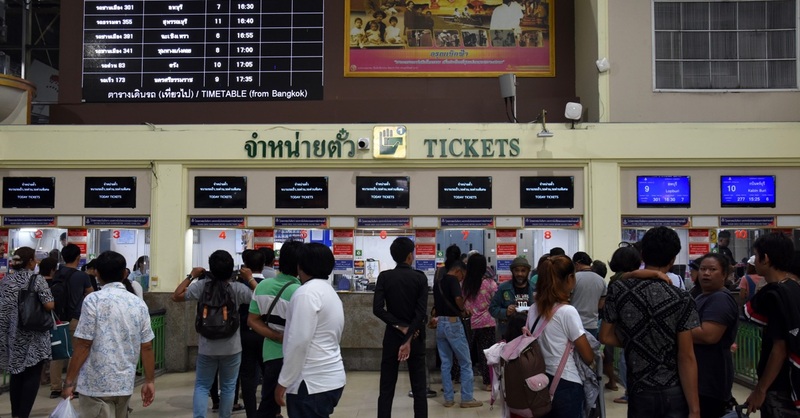 The easiest way to get here is to tell a taxi driver the name of either homestay when you arrive at the pier (if you happen to find him, Mr Mut from Phattalung is a kind and helpful driver). If coming on your own, head straight into Maphao village from the pier, then take a left and ride south for a few kilometres, keeping an eye to the left for the side lane to the village. After turning onto this lane, go briefly straight, then right at the crossroads, and Mondip will be on your immediate left, with Jannai just after it. Mondip’s sign is only in Thai; Jannai’s says “Libong Homestay” in English.